The man overseeing Windows 10 Mobile will be gone from November until next summer. 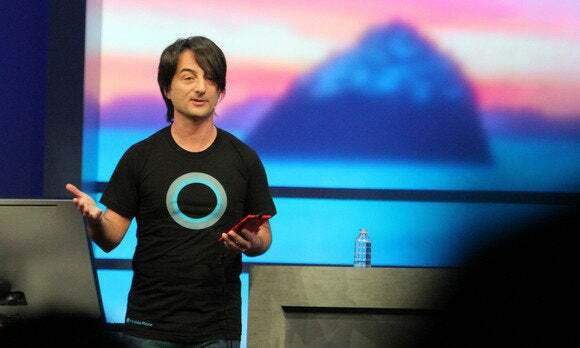 Microsoft’s Joe Belfiore plans to take several months off after the launch of Windows 10 Mobile to spend some time with his family, the executive said late Tuesday night. Belfiore, a corporate vice president in the Operating Systems Group at Microsoft, is currently in the final stages of overseeing the mobile version of Windows 10 for public release. Microsoft hasn’t said when the operating system will be officially published, but it should be at about the time the Lumia 950 and Lumia 950 XL begin shipping in November. At that time, Belfiore said, he will begin a leave of absence that will begin in November and last several months. According to Belfiore’s Facebook page, he’ll return to his same job next summer, in time to get his children ready for school. Belfiore said he plans to bring his children along to Semester at Sea, an nonprofit educational cruise program. According to the website, the cruise that Belfiore and his family will embark upon begins in January and ends in April, making stops in Shanghai, Casablanca, Burma, Mauritius, and more. Why this matters: Assuming that Windows 10 Mobile launches on time, Belfiore’s departure won’t matter. But one can’t help hearken back to the departure of Windows chief Steven Sinofsky after the lukewarm launch of Windows 8. Sinofsky never returned. Windows has but a tiny fraction of the available smartphone market share, and it’s possible that Belfiore could use the opportunity to look for greener pastures.